This is wonderful, I love the bold pink with the touch of navy and that vegetable paper is awesome, I think I need some to scrap some recipes. The pink made your layout really pop ! Very pretty. ooo, love the bright color! Great page! I love the pink! 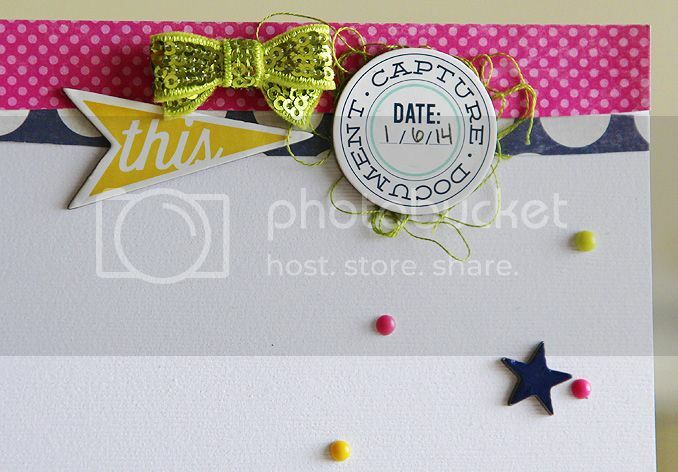 Wonderful page and to scrap freely is a very rewarding feeling! The pink is the showstopper here, great job! 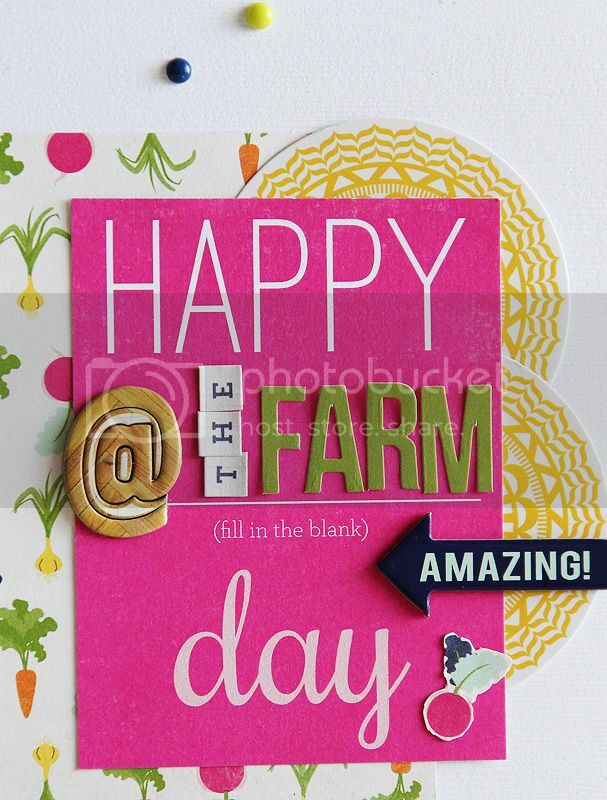 I love the bright colors, paper, and all the little details on this layout. what a cool layout, lovin the color pops! I'm glad you had time to play because this adorable. A new favorite Mary Ann!! I love the bright pop of Pink to match your daughter's shirt and she is such a cutie!! The colour combo is perfect with this picture!